From the front foyer, enter into the great room and kitchen area, which is nice and open. 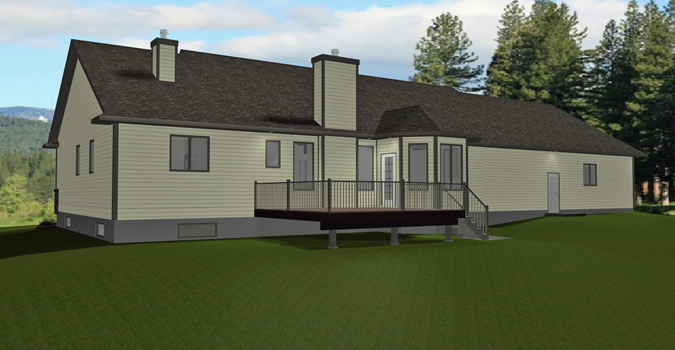 A gas fireplace in the living room is shared with the rear deck. The kitchen has a full size pantry, an eating counter, and an island for added counter space. The U-shaped breakfast nook allows for lots of sunlight and exits onto the rear deck. There is also has a separate dining room just off the main entrance. Main floor master bedroom and laundry is one of the benefits of this plan, along with an additional bedroom on the main floor. 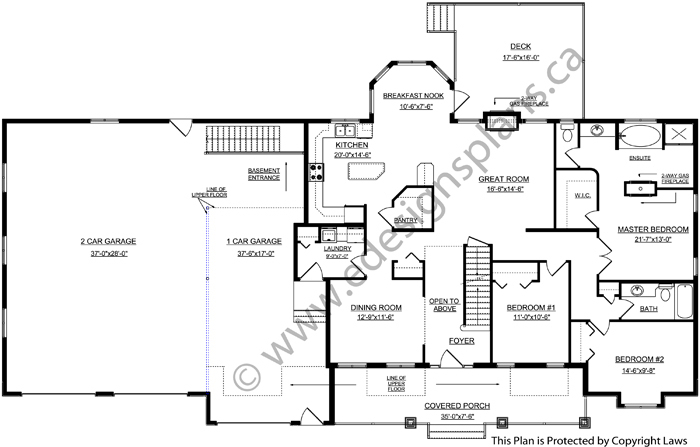 The master bedroom has a walk-in closet as well as a 4-piece ensuite. 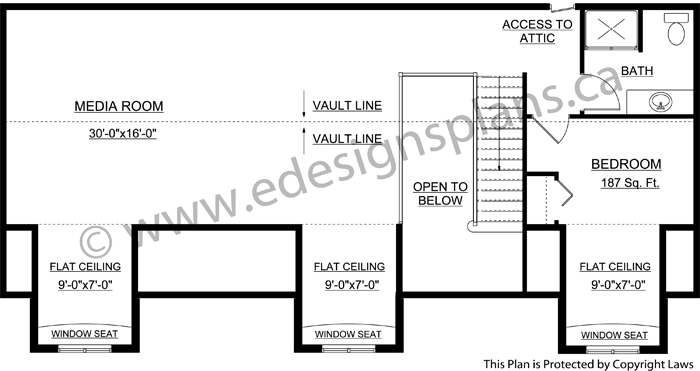 Up the staircase to the second floor leads to a vaulted media room which is partially open to below. There is also an additional bedroom up here. The dormers on the second floor have built-in window seats if you're looking for a spot for some peace and quiet, or a great view. 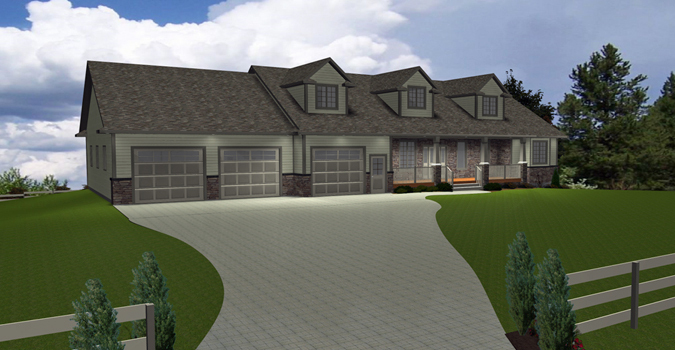 A huge 3-car garage with large 10'x8' doors is great for those extra vehicles. It also has lots of room for a workshop area. There is a separate entrance to the basement from the garage for added convenience.